Over the past two years, the United States has pushed China to be step forward and admit it was engaging in cyber espionage. 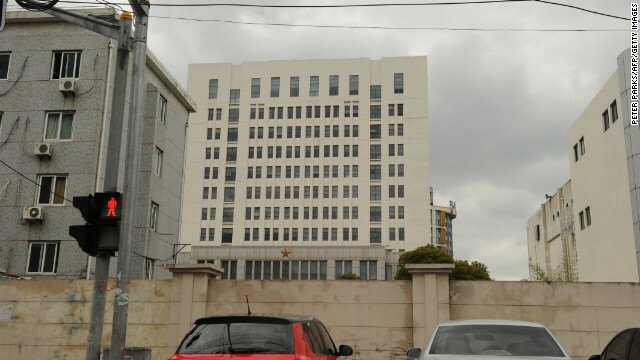 Despite a flurry of reports detailing the evidence detailed below, the Chinese government has refused to accept any responsibility leading to a Justice Department indictment of officers from China’s People’s Liberation Army (PLA) cyber espionage unit. In addition, at least one of the businesses targeted by China’s cyber espionage is calling for retaliatory trade sanctions as a result. These reports comes at the same time as allegations of Chinese cyber attacks against our allies such as Australia, Canada, Germany, Japan, New Zealand, Taiwan and the United Kingdom gain greater attention. 115 of the firms were U.S. based and were primarily blue-chip companies in important industries such as aerospace, satellite and telecommunications, and information technology (strategic industries that were identified in China’s five year plan for 2011 to 2015). The Obama administration responded swiftly to the Mandiant report, with National Security Advisor Tom Donilon stating the following in a speech to the Asia Society: “Increasingly, U.S. businesses are speaking out about their serious concerns about sophisticated, targeted theft of confidential business information and proprietary technologies through cyber intrusions emanating from China on an unprecedented scale. The international community cannot afford to tolerate such activity from any country. As the President said in the State of the Union, we will take action to protect our economy against cyber-threats. Mandiant believed its 2013 report provided “a unique opportunity to observe whether revelations of China’s state-sponsored cyber activity could spur a diplomatic solution to the problem of nation-state cyber espionage on behalf of private sector entities.” Its 2014 annual report, however, concluded that China had expanded its cyber espionage activities from primarily targeting U.S. defense industrial base to a large variety of industries to make Chinese state operated enterprises more competitive. “This suggests the PRC believes the benefits of its cyber espionage campaigns outweigh the potential costs of an international backlash.” Of course, the international backlash from the 2013 report was entirely blunted by Edward Snowden’s revelations. 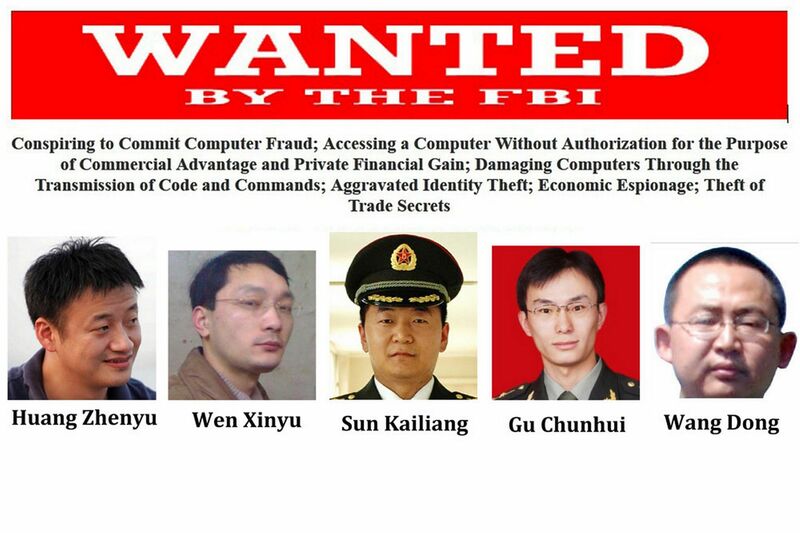 In May the Justice Department announced the indictment of five (5) officers from PLA Unit 61398 identified in the Mandiant report for violations of the Computer Fraud and Abuse Act, aggravated identity theft, economic espionage and trade secret theft. Companies targeted included Westinghouse Electric Co. (Westinghouse), U.S. subsidiaries of SolarWorld AG (SolarWorld), United States Steel Corp. (U.S. Steel), Allegheny Technologies Inc. (ATI), the United Steel, Paper and Forestry, Rubber, Manufacturing, Energy, Allied Industrial and Service Workers International Union (USW) and Alcoa Inc.
We believe that organizations, be they governments or corporations, global or domestic, must keep up the pressure and hold China accountable until lasting change is achieved. Not only did the U.S. Government offer in its criminal indictment the foundation of evidence designed to prove China’s culpability in electronic espionage, but also illustrated that the charges are only the tip of a very large iceberg. Those reading the indictment should not conclude that the People’s Republic of China (PRC) hacking campaign is limited to five soldiers in one military unit, or that they solely target the United States government and corporations. Rather, China’s decade-long economic espionage campaign is massive and unrelenting. Through widespread espionage campaigns, Chinese threat actors are targeting companies and governments in every part of the globe. Hackers associated with the Chinese government successfully penetrated the computer systems of U.S. Transportation Command contractors at least 20 times in a single year, intrusions that show vulnerabilities in the military’s system to deploy troops and equipment in a crisis, a Senate Armed Services Committee investigation has found. The year-long investigation found that TRANSCOM, which is responsible for global movement of U.S. troops and equipment, was only aware of two of those intrusions. It also found gaps in reporting requirements and a lack of information sharing among government entities that left the command largely unaware of computer compromises by China of contractors that are key to the mobilization and deployment of military forces. A Chinese military intrusion into a TRANSCOM contractor between 2008 and 2010 that compromised emails, documents, user passwords and computer code. A 2010 intrusion by the Chinese military into the network of a CRAF contractor in which documents, flight details, credentials and passwords for encrypted email were stolen. A 2012 Chinese military intrusion into multiple systems onboard a commercial ship contracted by TRANSCOM.